There's a famous saying in Vietnam. 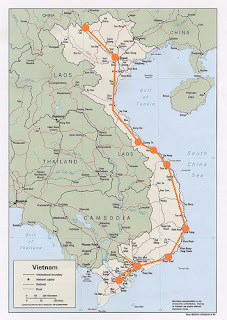 It's printed on t-shirts and spoken from Saigon to Hanoi. In our three weeks here we have traveled through every major city. 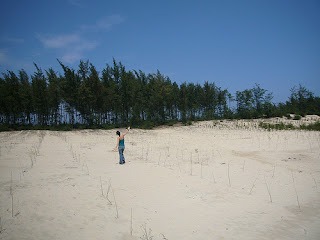 We spent time at beaches off the beaten path. We stumbled into an ER one day. We've visited War sites and the museums that followed. We've read books about Vietnam and learned of her history. 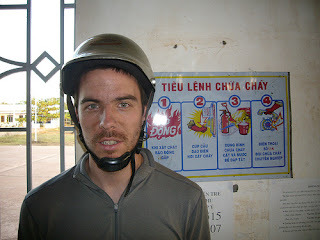 Even this week we rented a motorcyle and spent two days riding around the Mekong Delta. We rode 350 miles in all, racing the sun on our first day out only to find ourselves on a remote dirt road at dark, looking for a place to sleep. And now we're in Saigon, enjoying a city whose name was once on all of America's lips. It's yesterday's Baghdad. 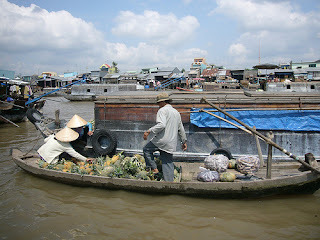 Each place we've been, every adventure we've had, has been a thoroughly Vietnamese one. This is a country filled with French architecture, American menus, and Chinese habits. And yet it is unique in every way. 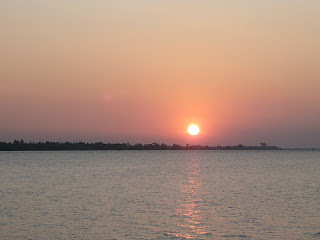 A few more pictures can be seen here. Nice pics - very much otherworldly from here. i could go for some kfc right now. i'll make you a deal, when you come back and we're hiking the pct, i'll carry a bucket o chicken into the mountains for you.